From An Official Distributor - AfterSales Service Provided ! Reebok double grip medicine ball has a special non-slip coating handle that provides a secure grip and the ball can be used in any kind of strength training. 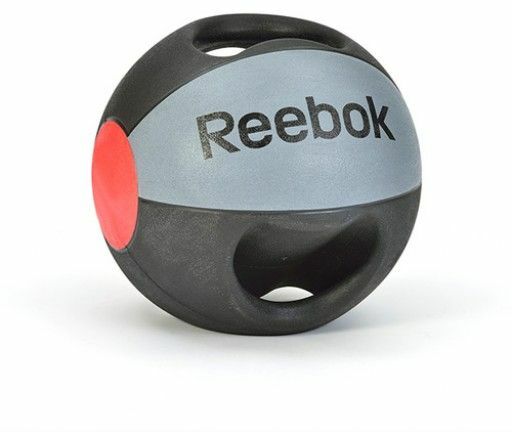 Reebok medicine ball with handle has a special non-slip coated handle that provides a secure grip during use. The ball can be used in any kind of strength training. Abrasion-resistant rubber coating of the ball is easy to clean and does not leave marks on the floor or walls. Have greater durability than medical balls. Are perfect for everyday use. Ideal for high-intensity workouts.